Already own a home in the Lakewood Club Estates subdivision? Thinking of selling? Click here and read about current search trends & our web network. Lakewood Club Estates is Fairhope’s most luxurious golf course community. Large estate-sized upscale homes populate this tree-lined magnificent subdivision in Point Clear, Alabama near the Grand Hotel. 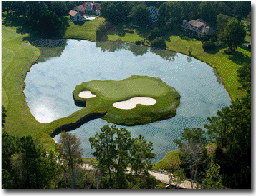 This beautiful subdivision surrounds the 36 hole Robert Trent Jones golf course, Lakewood Golf Club. The subdivision is a quick drive to downtown Fairhope, AL and the many restaurants, shopping and entertainment venues that contribute to Fairhope, AL consistently ranking as one of America's top places to live. Fairhope, AL is also near the regional airport in Mobile, AL making air travel an easy trip. Also, the homes in Lakewood Club Estates is near a host of recreational activities, restaurants and area attractions, such as the beaches of the Alabama Gulf Coast. If you need further info, have questions or would like to schedule a viewing for any of the homes for sale in Lakewood Club Estates or any other properties in the area, please email info@condoinvestment.com or call (251) Area-Pro (251-273-2776) for immediate assistance. Lakewood Club Estates is just west of County Rd 3 and approximately 14 miles south of the interstate. Depending on traffic, it takes about 35 minutes to reach downtown Mobile. Lakewood Club Estates is an hour drive to the Gulf Coast beaches. If you are looking for a second home or investment, be sure to visit our Gulf Shores condos and Orange Beach condos pages.